October 13, 2012 "Information Clearing House" - On the front page of a prominent newspaper the news is grim: a Middle Eastern country run by a ruthless dictatorial regime has been secretly developing “weapons of mass destruction.” While in public they deny it, in their underground labs their scientists are busy, cooking up a radioactive horror that will soon be visited upon the world — that is, unless we act. How do we know this? An exile group of so-called “freedom-fighters” has made this “intelligence” available to a reporter for a widely-read US newspaper, which splashes this scoop all over its front pages. Israeli Prime Minister Benjamin Netanyahu is now saying it is only a matter of a year or so before Iran is ready to join the nuclear club — of course, he said the same thing last year, and the year before, and the year before that. Hardly a day goes by without some supposedly sensational revelation or claim about Iran’s alleged “weapons of mass destruction.” It seems like only yesterday, however, that we were seeing exactly the same headlines, and the same articles, only this time it is Iran instead of Iraq that stands accused. Back in 2002, it was a series of pieces bylined by a New York Times reporter, Judith Miller — whose name has become virtually synonymous with deception. Ms. Miller was being fed her information by Chalabi’s group, via her close connections to the administration, and in particular to a group of political operatives deemed the neoconservatives. This was — is — a small but highly influential coterie of what used to be called cold war liberals, whose views were shaped by migratory ex-Trotskyites with a bone to pick with Stalin. Not your run of the mill European-style Social Democrats, mind you, but militant interventionists with a vision of a world reshaped by American military power. Or, as one neocon writing in a prominent foreign policy journal put it: the goal of US foreign policy ought to be “benevolent global hegemony” — as opposed, one must assume, to the malevolent global hegemony dreamed of by Communists, national socialists, and other villains throughout history. The fabled journey of the neocons from far left to far right has been celebrated in story and song, and there is no need to go into all the gory details here: we’ve heard it all before — in a PBS documentary, “Arguing the World,” and in numerous memoirs by the participants. Yet this famous hegira didn’t take them anywhere: it was a journey standing still. For they had simply transferred their allegiance from the Soviet Union to the United States without changing the basic underlying assumptions of their radical universalism: instead of a world communist revolution as advocated by Leon Trotsky and his followers, these disillusioned Marxists now dreamed of a “global democratic revolution,” as one of George W. Bush’s speechwriters put it in a presidential oration celebrating the anniversary of the National Endowment for Democracy. Having walked out of the Democratic party, disgusted with the alleged “pacifism” of George McGovern, these Scoop Jackson Democrats wound up in the Republican party just as the Reagan Revolution, so-called, was picking up steam. When Reagan went to Washington, the neocons followed in his wake, and wound up ensconced in the National Endowment for Democracy, which was founded with them in mind. There Reagan’s advisers could keep an eye on them, while they stayed largely out of sight of the general public. From a small coterie of social democratic intellectuals, the neocons soon branched out and established a Washington network that tied them into the right-wing cold war coalition of social conservatives, free market types, and professional anti-communists. The neocons fit neatly into the latter category, but were never quite comfortable with the other members of the coalition. Some of them remained socialists, or at least social democrats of one sort or another, and as far as capitalism was concerned, they could only give it two cheers, at the most — as Irving Kristol put it in the title of one of his books. When it came to domestic issues, the neocons were all over the map, from Sidney Hook — the quintessential New York intellectual — who remained a socialist until his dying day, to Irving Kristol, a former Trotksyist who wound up founding a veritable dynasty based on the ideological assumptions to be found in the Republican party platform. What unified them, and defined them as a cohesive group, was a fanatical hatred of Stalinism and their dedication to the idea of spreading democracy — at gunpoint, if necessary — throughout the world. During the cold war, the CIA made use of them as the US sought to counter Soviet influence on the international left. Having displaced the older generation of conservatives, who were derided as “isolationists,” these New Conservatives — or neoconservatives, as they came to be known — came to dominate the American right-wing and soon seized control of the philanthropic foundations that poured money into right-wing causes. As the cold war ended, however, they saw their influence waning. When Reagan met with Gorbachev and signed a treaty limiting long-range missiles based in Europe, they accused the man who had coined the phrase “evil empire” with selling out to the commies and leaving the US defenseless against the Kremlin. They failed to understand what was happening when the Soviet colossus began to crack because they never “got it” that communism’s biggest enemies were its own internal contradictions. With the fall of Communism, and the dissolution of the Warsaw Pact, the professional anti-communists were out of work. Suddenly there was a big hole in their worldview: the rationalization for our interventionist foreign policy had disappeared almost overnight. Worse, from their point of view, the Republicans were drifting back to their “isolationist” roots. 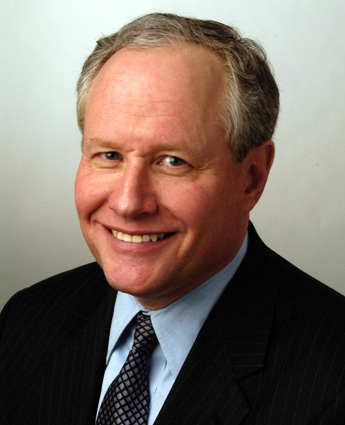 When, during the Clinton administration, the Republicans in Congress threatened to pull the funding from our military adventure in Kosovo, Bill Kristol, editor of the Weekly Standard, threatened to walk out of the Republican party. Ah, but all was not lost. When George W. Bush went to Washington, a gaggle of neocons followed him. Showing up for work that fateful winter were all the familiar faces who had worked for Sen. Scoop Jackson (D-Boeing), organized the Committee on the Present Danger (and other neocon front groups), and served as the de facto command center of the War Party in previous administrations: Paul Wolfowitz, Richard Perle, Eliot Cohen, Elliott Abrams, Douglas Feith — and, sitting in the peanut gallery, the neocon publicists like Bill Kristol, son of Irving, editor of the Weekly Standard: Max Boot, former CIA analyst, the gang over at Commentary magazine, the staff of the American Enterprise Institute — the most prominent and certainly the wealthiest conservative think tank — and various and sundry Republican politicians, as well as ostensible Democrats like Sen. Joe Lieberman. The policy office of the Pentagon and the National Security Council were packed with neocons, and they had their agenda all set to go when George W. Bush entered the Oval Office. They went to Washington with a plan: invade and subjugate Iraq. They had found a new enemy to take the place of the Kremlin, and it wasn’t just the Iraq dictator — although Saddam was their initial target — but the entire Muslim world, which they determined had to be transformed. The “swamp,” they averred, had to be “drained.” In their view, the entire Arab world had been deformed and kept back from achieving “modernity” due to certain characteristics of what they called the “Arab mind” — deformations that could be traced back to the all-pervasive influence of Islam on the development of Arab civilization. The stage was set for the disaster that was about to unfold…. The entire regime change operation we are seeing unfold in the Middle East is a veritable laundry list of neoconservative goals as outlined in the “Clean Break” document, as well as in the agenda of the Project for a New American Century (PNAC), Bill Kristol’s vehicle for injecting a strong dose of interventionism into the incoming Bush administration. Aside from calling for regime change in practically every Middle Eastern state — all this prior to the 9/11 terrorist attacks — PNAC’s proposal for tripling the military budget was prefaced by a yearning for “a new Pearl Harbor,” which would wake the American people up to the imperative of American military supremacy at any cost. The neocons got their Pearl Harbor on September 11, 2001, and they were more than ready to take full advantage of the opportunity to implement their agenda of permanent war. While the administration made a half-hearted attempt to capture Osama bin Laden they failed to corner him in Afghanistan, and the top leadership slipped through the American dragnet with the help of its Taliban allies. This, however, didn’t really concern the neocons all that much: Paul Wolfowitz and others were arguing inside the administration that the real enemy was in Baghdad. After the preliminaries in Afghanistan, they turned their sights on the real object of their war-lust: Iraq. Of course it was, but as far as the Israelis and their American amen corner were concerned, it was to be just the beginning. This doctrine of preemption came to be known as the Bush Doctrine, but it really ought to be called the Sharon-Bush Doctrine, given its true origins. When George W. Bush declared that the United States has the “right,” and even the obligation, to attack any nation on earth, on the grounds that the target poses a potential threat to US interests, he was merely echoing what had by that time already become official Israeli policy. This policy was given free rein in a whole series of wars, aside from the permanent state of war prevailing in the occupied territories of Palestine: two invasions of Lebanon, and, today, terrorist attacks inside Iran carried out by Israeli intelligence agencies in cooperation with their proxies, such as the Mujahideen Khalq. The ultimate example of preemption would be an attack on Iran — and here we see a real conflict developing between the Obama administration and Netanyahu’s government. The Israeli position on Iran is an application of the Bush Doctrine taken to its logical extreme. While the American intelligence community is clear that the Iranians abandoned their embryonic nuclear weapons program in 2003, and all subsequent “evidence” of a viable Iranian nuke in the making has turned out to be either forgeries or pre-2003 materials, Netanyahu gets around this by upping the ante. The danger, he says, is that the Iranians will achieve the capacity to put together a nuclear weapon on very short notice. The Romney campaign, taking its cues from Tel Aviv, has echoed this escalation of Israeli demands, with the formulation that they don’t want Tehran “one turn of the screwdriver away” from acquiring nuclear weapons. This is a technical impossibility, a crude bit of war propaganda that has no basis in reality: but then again, that’s what war propaganda usually is — blind assertions meant to evoke an emotional response rather than one based on reason, or, in this case, on science. As the Wilson Center study on the costs and benefits of an attack on Iran put it, it would take at least two years or more for Iran to develop a deliverable nuclear warhead — and the effort would be detected long before that. In short, the ticking time bomb scenario described by Netanyahu and his American co-thinkers is pure nonsense: in no sense could the Iranians ever be “one turn of the screwdriver away” from nuking Israel. Even given the doctrine of preemption, in light of these facts the justification for war simply does not exist. Netanyahu and his defense minister claim Israel faces an “existential” crisis, nothing less than the prospect of a second Holocaust. Yet there are no facts to back up this assertion: it is simply an emotional appeal. Something else is at work here other than fear of a genuine threat, and it is quite simply politics — that is, the internal politics of Israel, and also of the United States. Objectively, there is no threat to Israel, or to the West, emanating from Iran: armed with nuclear weapons, and so far advanced militarily over its neighbors that the distance between them can only be measured in light years, Israel has no real reason to fear an attack that is not forthcoming in any event. The whole thing is manufactured by politicians who have but one goal in mind: to stay in power. Meir Dagan, former head of the Mossad, says the idea of a preemptive attack on Iran is “the stupidest idea I’ve ever heard,” and inside Israel support for Netanyahu’s gambit is far from solid. Shimon Peres, one of the last of the old-style (i.e. rational) Israeli leaders, recently went on television to expressly dissent from Netanyahu’s apocalyptic rhetoric and to give support to President Obama as a reliable ally. Barak’s message is all too clear: the Americans are mercurial, and weak-willed — they can’t be counted on, and besides we have to do what we have to do. This is the spirit and letter of the “Clean Break” document, which decried US “intervention” in Israel’s internal affairs, and it is the language of the extreme nationalists, such as Avigdor Lieberman, the foreign minister, who once advocated bombing the Aswan dam and is a former bouncer in a bar. His extremist right-wing party advocates a “Greater Israel,” and is supported by the “settler” movement — violent fanatics who want to create a Greater Israel based on their interpretation of the Bible. In the context of growing extremism infecting the Israeli body politic, a politician like Netanyahu is considered a centrist. To his right are even more anti-American ultra-nationalists, and this movement is growing. In order to accommodate it, and contain it within the confines of his own party, Netanyahu has had to move in an even more extreme direction, even going so far as to threaten that Israel will strike Iran on its own, without US support. This, of course, is a policy of de facto blackmail, since any war between Israel and Iran will almost inevitably see the Americans dragged in. This has been the whole Israeli strategy, so far — except that it hasn’t worked. The President has steadfastly refused to give in, at least up until this point. He has even gone so far as to inform the Iranians in advance that any such attack by Israeli forces will not have the sanction or support of the US — and, in such an event, to please refrain from attacking American targets in Iraq and the Persian Gulf. In view of the lack of American support for war, both in Washington and among the American electorate, the persistence of the debate within Israel over whether they should attack all on their own is disturbing. Such a scenario could only be disastrous for the region, and for Israel in particular, as Gen. Dempsey, head of the US joint chiefs of staff, has recently made plain. The Israeli defense and intelligence establishment has been saying the same thing, and still Netanyahu and Barak continue to talk about it as if it were a real option. While Netanyahu is bound to be deterred by the cold reception this idea has received in Washington, in this context we have to ask ourselves a sobering question: will Avigdor Lieberman’s finger some day be on Israel’s nuclear trigger? This is a question the Iranians, and others in the region, have no doubt asked themselves. That it is even a possibility is profoundly unsettling — and this, not the prospect of a nuclear-armed Iran, is the source of the real danger looming over the Middle East. Israel’s nuclear monopoly in the region is the real issue at hand, and it is one the Israelis have not had to face. It is known the Israelis possess at least two-hundred warheads. Their policy is one of “nuclear ambiguity,” neither confirming nor denying the existence of their deadly arsenal. Unlike Iran, they have refused to sign the Nuclear Nonproliferation Treaty (NPT), and inspections of their nuclear facilities are therefore out of the question. Iran, on the other hand, regularly submits to a tight schedule of inspections from the International Atomic Energy Agency (IAEA), which would soon discover any weaponization procedures in progress. Israel’s contemptuous attitude toward the international community is given a free pass by the US and its allies, while the Iranians are subjected to crippling sanctions and an international campaign of vilification on the mere suspicion that they might one day have the capacity to develop nuclear weapons. To call this a double standard is to understate the case. The destabilizing effects of Israel’s nuclear monopoly are a major cause of regional tensions — and the entire basis for assuming Iran has nuclear ambitions above and beyond its stated intention of harnessing nuclear energy for peaceful purposes. One of the arguments against containing Iran, as opposed to taking the military option, is that the acquisition of a nuclear arsenal by Tehran will spark a dangerous arms race throughout the region. Yet this is disproved by the existence of Israel’s own arsenal, which has sparked no such race — even though the Jewish state’s Muslim neighbors have ample reason to believe the Israelis could conceivably launch a first strike on them. This, after all, is the essence of the doctrine of preemption, which the Israelis have embraced. An Israeli nuclear strike at Iran is not inconceivable: indeed, it is all too conceivable. So who are the real aggressors in the Middle East? The Israel Lobby and the Road to War - Part III of "Roots of the Iranian ‘crisis’"